I ask my clients great questions. I give great advice to friends and family. I want people to feel great about themselves, about their lives and about their choices. But sometimes, when it comes to me, I can be very quiet on the support and careful questioning I would normally offer those around me. So, my beloved and I had a chat in our treks today about why I’m good at the first day of a new exercise regime but not so great at committing to it. He asked me some really good questions and when I got home, I set about asking myself those questions and feeling for what was really going on for me. I wrote out all the excuses I typically use. Then I wrote out come backs for all those excuses. I wrote out all the things, events and people who are triggering me (causing an emotional reaction in some form or other) at the moment. Then I wrote out why this was the case (hint: it’s because they’re doing the things that I’m not doing for myself – see my recent article as within, so without). Light Bulb! – Everything I was feeling was directly related to what was going on around me and what was going on around me was showing me what I needed to do for myself. So, next time you’re stuck with an issue, try talking to yourself as you would a friend. Ask yourself all the questions you’d ask your friends or family. Give yourself the advice you’d give friends or family. You have that advice because somewhere, someway, somehow it resonates with you. And things resonate with you for a reason and that’s because you need to hear it or heed it. 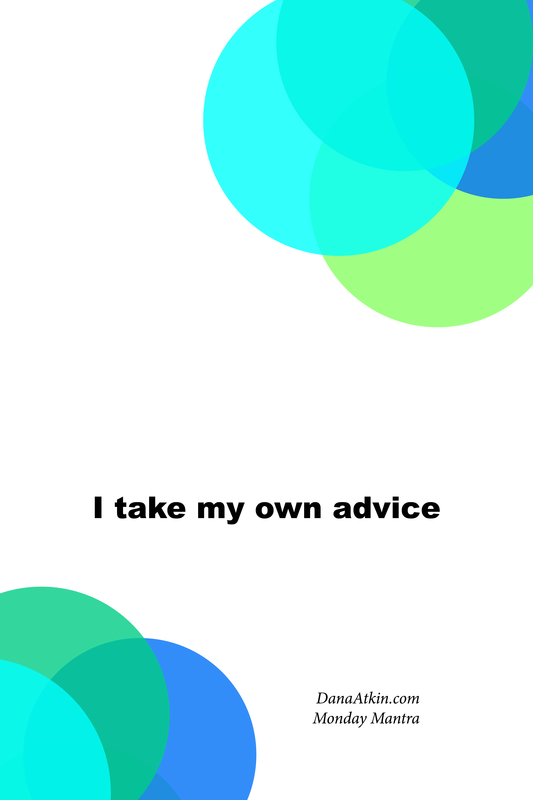 Try giving yourself some of your own advice once in a while and see how different you feel.